EUR/GBP intraday: rebound0.8533 is our pivot point. Alternative scenario: below 0.8533, expect 0.8506 and 0.8490. Comment: the RSI is above 50. The MACD is above its signal line and negative. The MACD must break above its zero level to call for further upside. Moreover, the pair is trading above its 20 MA (0.8547) but under its 50 MA (0.8558). 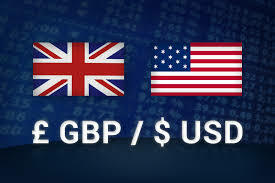 GBP/USD Intraday: intraday support around 1.3285. Our preference: long positions above 1.3285 with targets at 1.3320 & 1.3350 in extension. Alternative scenario: below 1.3285 look for further downside with 1.3260 & 1.3230 as targets. Comment: a support base at 1.3285 has formed and has allowed for a temporary stabilisation. EUR/USD Intraday: supported by a rising trend line. Our preference: long positions above 1.1360 with targets at 1.1400 & 1.1415 in extension. Alternative scenario: below 1.1360 look for further downside with 1.1345 & 1.1325 as targets. 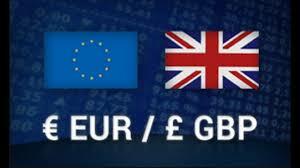 EUR/GBP intraday: rebound towards 0.86360.8569 is our pivot point. Our preference: rebound towards 0.8636. Alternative scenario: below 0.8569, expect 0.8543 and 0.8527. Comment: the RSI is below its neutrality area at 50. The MACD is above its signal line and negative. The configuration is mixed. Moreover, the pair is trading under both its 20 and 50 MAs (respectively at 0.8592 and 0.8606). Our preference: long positions above 1.3190 with targets at 1.3290 & 1.3330 in extension. Alternative scenario: below 1.3190 look for further downside with 1.3140 & 1.3100 as targets. Our preference: short positions below 110.75 with targets at 110.40 & 110.25 in extension. Alternative scenario: above 110.75 look for further upside with 110.90 & 111.05 as targets. Our preference: long positions above 1.1365 with targets at 1.1400 & 1.1415 in extension. Alternative scenario: below 1.1365 look for further downside with 1.1345 & 1.1325 as targets. Comment: a support base at 1.1365 has formed and has allowed for a temporary stabilisation. EUR/GBP intraday: the downside prevails as long as 0.8669 is resistanceOur pivot point is at 0.8669. Our preference: the downside prevails as long as 0.8669 is resistance. Alternative scenario: above 0.8669, look for 0.8694 and 0.8709. Comment: the RSI is below its neutrality area at 50. The MACD is negative and below its signal line. The configuration is negative. Moreover, the pair is trading under both its 20 and 50 MAs (respectively at 0.8658 and 0.8673). Our preference: long positions above 1.3090 with targets at 1.3160 & 1.3200 in extension. Alternative scenario: below 1.3090 look for further downside with 1.3050 & 1.3020 as targets. Our preference: long positions above 1.1340 with targets at 1.1370 & 1.1385 in extension. Alternative scenario: below 1.1340 look for further downside with 1.1325 & 1.1310 as targets. Our preference: short positions below 110.95 with targets at 110.70 & 110.55 in extension. Alternative scenario: above 110.95 look for further upside with 111.10 & 111.25 as targets. Comment: a break below 110.70 would trigger a drop towards 110.55. EUR/GBP intraday: rebound towards 0.8724Our pivot point is at 0.8658. Our preference: rebound towards 0.8724. Alternative scenario: the downside breakout of 0.8658 would call for 0.8633 and 0.8618. Comment: the RSI is below its neutrality area at 50. The MACD is negative and above its signal line. The configuration is mixed. 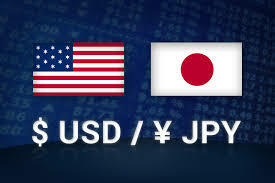 Moreover, the pair is trading under both its 20 and 50 MAs (respectively at 0.8680 and 0.8691). Our preference: long positions above 1.3030 with targets at 1.3095 & 1.3125 in extension. Alternative scenario: below 1.3030 look for further downside with 1.3000 & 1.2965 as targets. 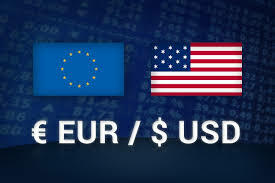 EUR/USD Intraday: bullish bias above 1.1320. Our preference: long positions above 1.1320 with targets at 1.1355 & 1.1370 in extension. Alternative scenario: below 1.1320 look for further downside with 1.1300 & 1.1280 as targets. EUR/GBP intraday: the upside prevails as long as 0.8677 is support0.8677 is our pivot point. Our preference: the upside prevails as long as 0.8677 is support. Alternative scenario: the downside breakout of 0.8677 would call for 0.8651 and 0.8636. Comment: the RSI is above its neutrality area at 50. The MACD is positive and above its signal line. The configuration is positive. Moreover, the pair is trading above both its 20 and 50 MAs (respectively at 0.8696 and 0.8692). Our preference: short positions below 1.3065 with targets at 1.3015 & 1.2980 in extension. Alternative scenario: above 1.3065 look for further upside with 1.3095 & 1.3135 as targets. Our preference: short positions below 110.85 with targets at 110.60 & 110.45 in extension. Alternative scenario: above 110.85 look for further upside with 110.95 & 111.10 as targets. Our preference: short positions below 1.1350 with targets at 1.1320 & 1.1300 in extension. Alternative scenario: above 1.1350 look for further upside with 1.1370 & 1.1390 as targets. Comment: a break below 1.1320 would trigger a drop towards 1.1300. EUR/GBP intraday: the upside prevails as long as 0.8677 is supportOur pivot point is at 0.8677. Alternative scenario: the downside breakout of 0.8677 would call for 0.8650 and 0.8633. Comment: the RSI is above its neutrality area at 50. The MACD is above its signal line and positive. The configuration is positive. Moreover, the pair is above its 20 and 50 MAs (respectively at 0.8695 and 0.8695). Our preference: short positions below 1.3065 with targets at 1.3010 & 1.2980 in extension. Alternative scenario: above 1.3065 look for further upside with 1.3100 & 1.3135 as targets.